trend following daily bar trading system over the long term?" CAGR: CAGR is short for compound annual growth rate. It is simply the average percentage profit you make each year. 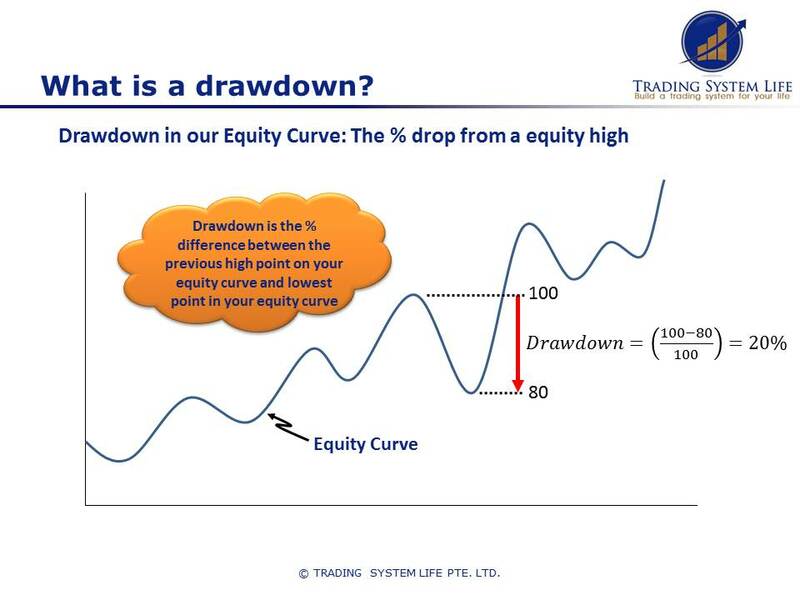 Drawdown is the percentage difference between the previous equity high and the subsequent equity low from your stock trading system. This is a great question which very much illustrates the importance of setting your trading goals up front before you start your trading system development journey. There are a couple of steps to answer this question because like everything in trading system development, there is no single right answer. The first trading goal I like to set is the maximum drawdown because this is the limit at which I am psychologically comfortable to keep trading. Sitting through a 30% decline in your equity is pretty tough for most people (myself included) so this number should be fairly conservative for most people. When setting the maximum drawdown that you are willing to tolerate it is also important to remember that the decline you see in your backtest is probably less than your maximum will be in real life trading. I like to be comfortable with 1.5 x maximum the backtest drawdown, because that is probably what you will face in real time trading at some point. So if your maximum equity drop before you start to feel really nervous and uncomfortable is 30%, then you should aim for a system with a backtested maximum drawdown of 20% to give you some room to move. Remember that larger equity declines are exponentially harder to recover from, so keeping your drawdowns low is one of the keys to profitable stock trading. 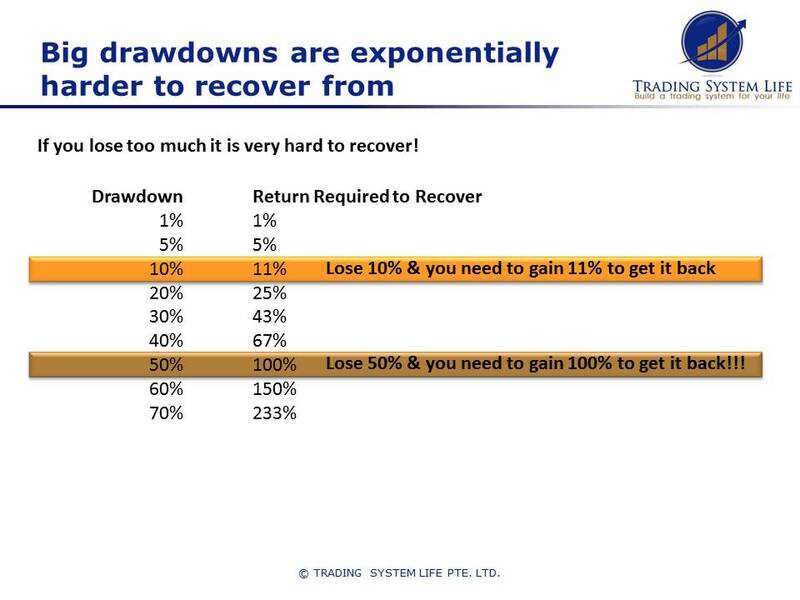 Large drawdowns are exponentially more difficult to recover from than small drawdowns. In his outstanding book 'Way of the turtle', Curtis Faith presents the performance figures for quite a few trading systems using a diversified basket of futures contracts. Many of these systems have a MAR ratio between the range of 1.0 - 1.3 in backtesting. The MAR level that is classified as 'good' is a bit subjective because it really depends on the style of system you are trading. If you are trading long / short on a diversified basket of instruments then you can aim for a slightly higher MAR…but you still need to be wary of curve fitting. Now that you have your max drawdown and your MAR target, it is a simple matter to combine the two to get your trading profit target in CAGR (compound annual growth rate) terms. I really prefer to approach the setting of trading goals from the downside first - by setting my maximum equity decline and then calculating what CAGR I should aim for. This is important because it prevents you from becoming too aggressive and optimistic since your focus is fairly and squarely on capital preservation and risk management FIRST…and one of the keys to surviving in this game is preserving your capital by managing risk. The worst numbers you should consider for MAR / CAGR / Drawdown is pretty hard to answer. Realistically if your returns are half your maximum equity decline (MAR <0.5) then your system is not very good and you should probably keep looking or improving your trading system. I would generally throw a trading system away if I can’t make the MAR better than 0.75 in backtesting UNLESS it is very different from what I am already trading. Once you have one trading system up and running with a respectable MAR (say around 1.0 in a backtest), then you can improve your portfolio MAR by adding uncorrelated trading systems or different types of markets (like forex and futures). Just as the illustrative chart below shows - adding uncorrelated trading systems improves MAR and while achieving the same level of return. 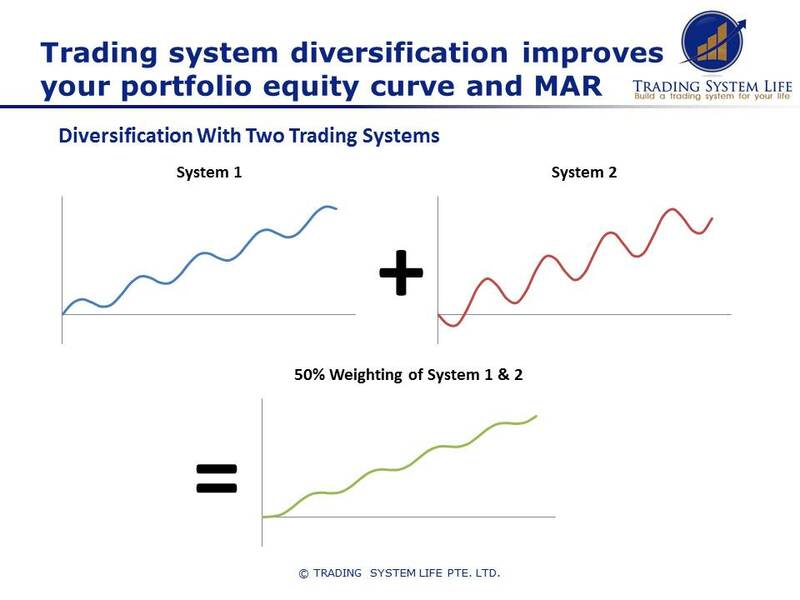 Trading system diversification reduces drawdown and improves the smoothness of returns. This is a far better approach than tweaking the one trading system to improve the MAR because every change you make to your trading system increases the risk that you are just curve fitting to past data. Adding a second or third system to your portfolio is more about the portfolio MAR than it is the individual system MAR. 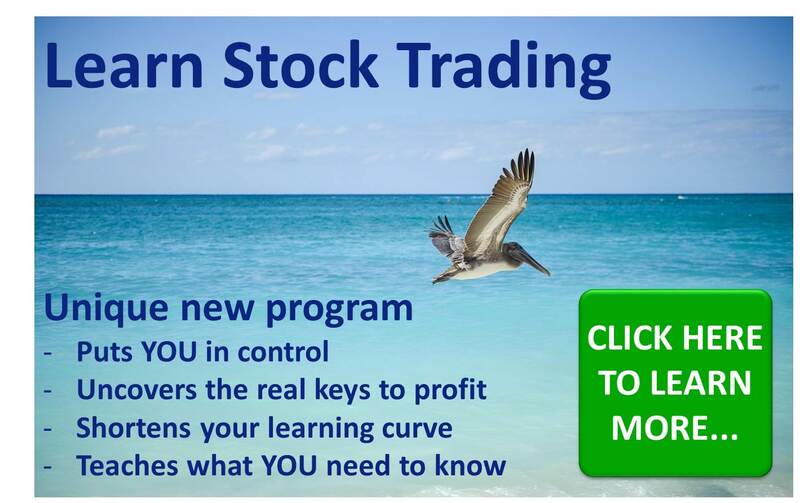 For example, if you have one stock trading system with a MAR or 1.0 and you build a second stock trading system with a standalone MAR of 0.5, but when you combine the two trading systems into a portfolio you get an overall MAR of 1.75 then you would be VERY EXCITED! You would probably not use the second trading system on its own, but in the portfolio it is a fantastic addition. An outstanding MAR for any long only stock trading system would be anything higher than 1.0 provided you are including data from the last 15-20 years in your backtest. The bear markets that we have had in this time cause the MAR to drop. If you are only using data from a bull market (which I do NOT recommend) then your MAR would be much higher than that in your backtest - but your real time performance will not be that good when the next bear market comes along. When you add a short side system, or additional markets like futures and forex then a portfolio MAR of 1.5 or more would be very good and more than enough to make you a lot of money if your systems are designed well and you do not over optimize your trading systems. Return to top of What are reasonable CAGR and Drawdown Targets? Home › Learn Stock Trading › What are reasonable CAGR and Drawdown Targets?